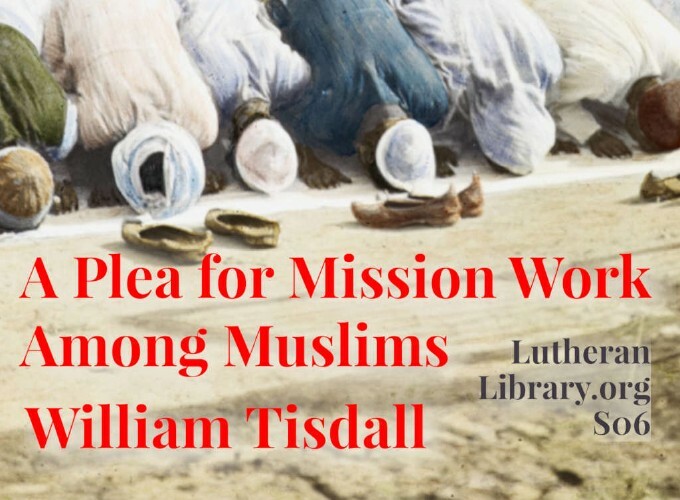 William Tisdall was an expert in Islam and the Koran, and fluent in Arabic, Persian, and other languages. One of his most valuable books is Islamic Objections to Christianity, which will be re-released later this year by The Lutheran Library. 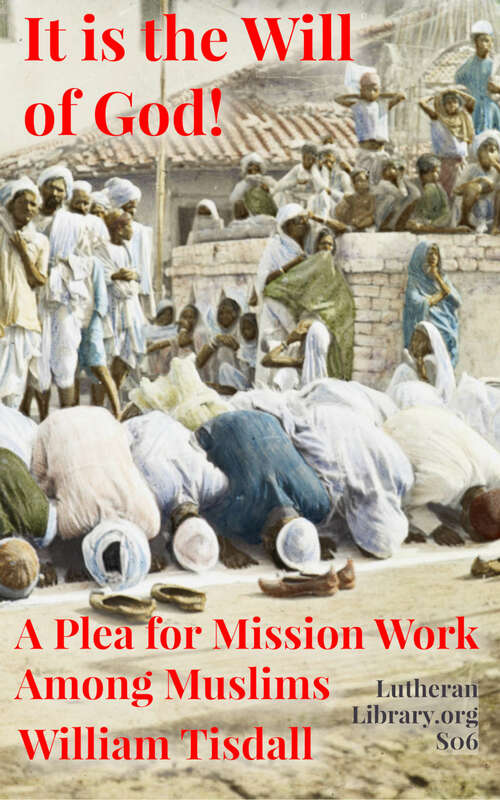 ”‘Some men know God,’ said a Muslim friend of mine, who had knelt weeping with me to pray to God for light and peace — ‘some men know God in a way that I do not know Him, though I have long sought for Him. Pray to God for me that, if it be His will, I too some day may know Him.’ God has not left Himself without a witness among such men. All we need is to go forward boldly, prayerfully, and trustfully in this grand and glorious work. “Islam has long exercised, and even now exercises, over the hearts and lives of many millions of Muhammadans an influence which, for strength and earnestness of conviction and the zeal which accompanies it, can hardly find its parallel in the whole history of the world. “Muhammad is the last and greatest of His Prophets; for his sake the Universe came into existence, and the Qur’an revealed through him has superseded all previous revelations of God. The Atoning Death of our Lord is denied, His Deity scouted as a blasphemous fable, and the Qur’an assures us that “God can destroy Jesus, Son of Mary,” as readily as any other part of creation.